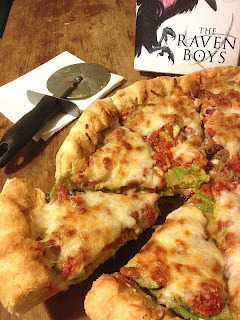 Just a heads up that I have new recipes for the "New Beijing Dragon Dog" for Time Snatchers by Richard Ungar and the "Raven Boys' Pizza", half sausage, half avocado deep-dish, from The Raven Boys by Maggie Stiefvater over on the "Food Adventures" blog--with yummy pictures of both! Click the images below to go to the recipe pages. Do you come up with your own recipes? They all look so tasty! 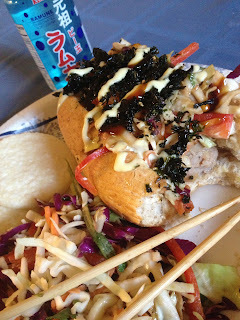 Mostly I search for recipes and then modify them by combining them and/or adding my own twists. It's a lot of fun!